I just thought this photo of Rachel is funny. This was the first Nintendo DS we owned. It was the style right before they released the DS Lite. 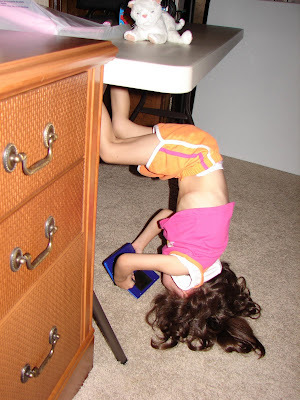 Rachel loved it from the beginning and found a great new way to play it - upside down! We now have three DS Lites in the house. Technology - ain't it grand?!?!? This is another photo that makes me laugh. This was after Jon Paul got his first Smart Phone. 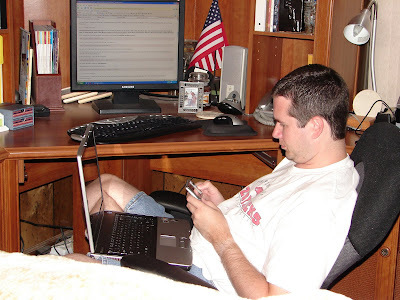 Here he is, playing on the Smart Phone, with his laptop in his lap, all while sitting at the desk with our desktop computer right next to him. 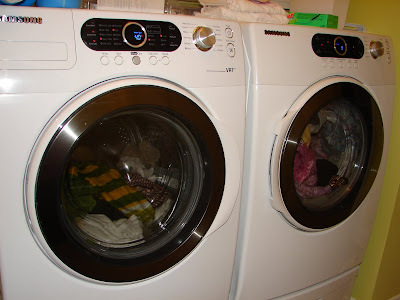 Technology - what would we do without it? Here is Jon Paul and a baby Rachel (only 18 days old!). This was our first laptop! I won't tell you how many we have had since then, which was only seven years ago! Technology - gotta start 'em young! 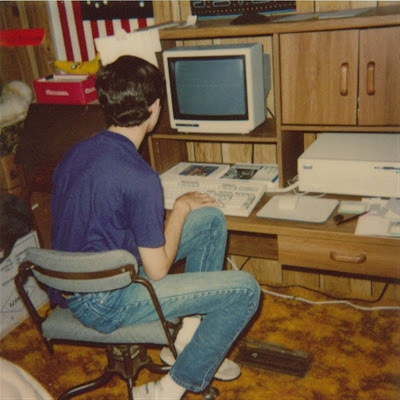 Here is Jon Paul with one of his MANY computers. He says this was somewhere between 1991 and 1994. 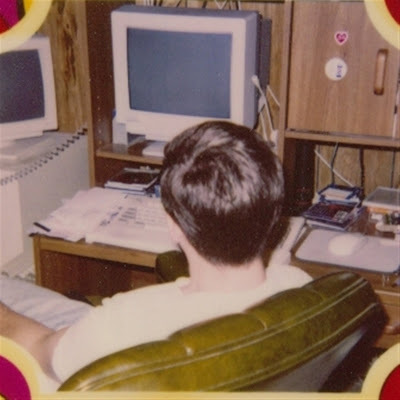 He was running a BBS (Bulletin Board System) at this time. Technology - without it, I would never have met Jon Paul! And yet another photo of Jon Paul in his early years. He said he got this computer his senior year in high school - 1990. I asked him, "Was that a color monitor?" He said, "Yes, it had 16 colors." Today, color monitors have 16,777,216 colors!! Technology - you've come a long way baby!